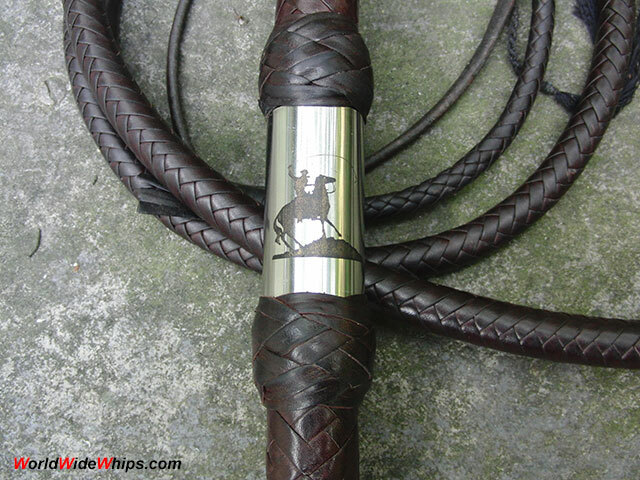 Perfectly made 7ft / 16plt bullwhip made from dark roohide. It features a double handle knot with a stainless steel ferrule inbetween. 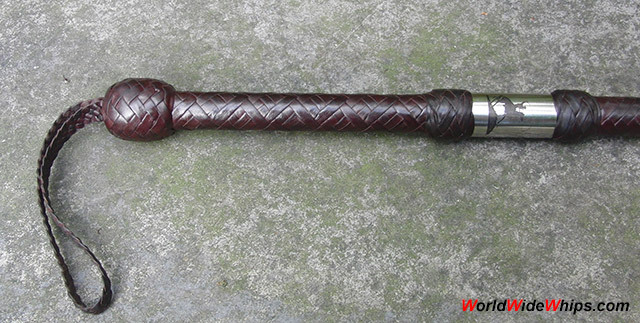 The handle is plaited in a bird´s eye pattern, rather unusual for bullwhip handles. 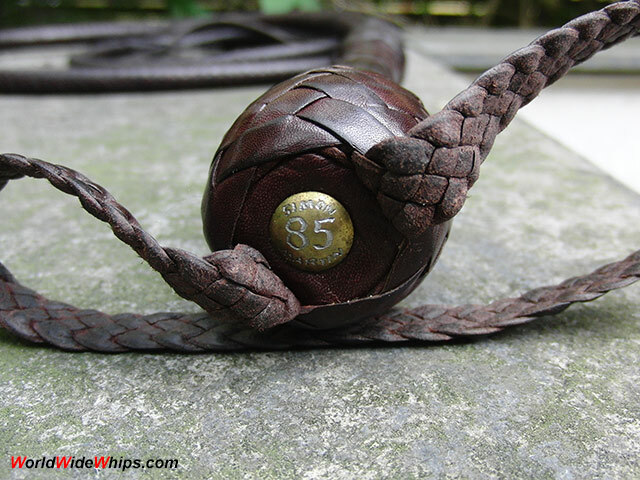 The former owner broke the whip in very carefully and maintained it properly, a 1st class performance whip.